Introducing a new way to get quality agency staff at your nursery. We are Temp in Care (www.tempincare.co.uk). Temp in Care is an online temporary recruitment platform which puts the control of hiring agency staff in your hands. The platform is FREE to register, available 24/7 and you can place as many job ads as you like at NO EXTRA COST. We launched a couple of weeks ago and are still growing our wings. Currently we are covering the Birmingham area and its suburbs, but will soon be in the rest of the UK as well. Once you have registered as a provider and been verified by us, it takes just a couple of minutes to add a job which notifies appropriate vetted workers nearby using our smart matching algorithm. If you are short on time, why not take the initiative and search from our large pool of workers and request them to apply – this shortens the process because if they accept, the job has been filled and there’s no need for you to go through the all the applications, so pick your requests wisely. In terms of quality, the staff that are available to you are Enhanced DBS checked, reference checked and are required to attend a face-to-face meeting with ourselves. The face-to-face includes the Enhanced DBS, verifying identity and paperwork, completion of a medical questionnaire and some interview questions around childcare. Once completed and verified, the staff are able to apply or get requested to apply for jobs on our platform. On top of that we have a rating system built in so that you know from previous work that the individual is of a certain calibre, and over time this rating system will become more and more accurate. Once they have worked with you and if they did well, you can also mark them as a favourite so that for any more jobs that you require filling in the future, you can request for them to apply quickly without any need to search. If you use us often enough, this will help with continuity and child familiarisation. We have hooked up with universities in the Birmingham area in order to make jobs available to students who are on early years or childcare courses. Those that may end up working for you will use their underpinning knowledge from these courses and apply them directly to real life scenarios. This is valuable experience for them, but for you also as some of their knowledge your current staff can learn from. We want workers to have permanent jobs and we know for you as employers the cost of doing so through an agency can prevent this from happening. So at Temp in Care, we have introduced a fixed ‘temp to perm’ fee to break down this barrier to permanent jobs. Interested? 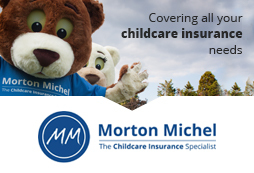 We are attending Childcare Expo Midlands in Coventry at the Ricoh Arena on the 28th / 29th September, so why not pay us a visit at stand D62 to find out more!